Rowboat was an older story but since Nugget’s death, his memory made me realize how important my children are to me as this story really hits point. I still remember watching Dan drive away in the old Ford, worrying if I had done enough. Worrying if this rowboat was just enough to keep him safe. Just Dad worrying. . . The ending says it all. The beginning is just the first scoop of ice cream in a fantastic sundae of fun and crazy hot fudge toppings. All of you know what that means, as we have all scraped the last of the syrupy goodness from the bottom of the bowl wishing we just had one more spoonful of the best dessert we ever had at that moment. Try this one sweet story one more time if you might have forgotten what a great memory of your own tastes like . . .
On a recent trip in August this year to Saratoga to watch and especially to listen to retiring Tom Durkin’s final race call of the Travers’ Stakes, America’s oldest stakes race for Thoroughbreds, I found another story tucked neatly away just waiting for something to pass by and lure it into the open so I could catch it then release it to you. It’s so easy to forget the treasure troves of sticky memories that were made for us as children. 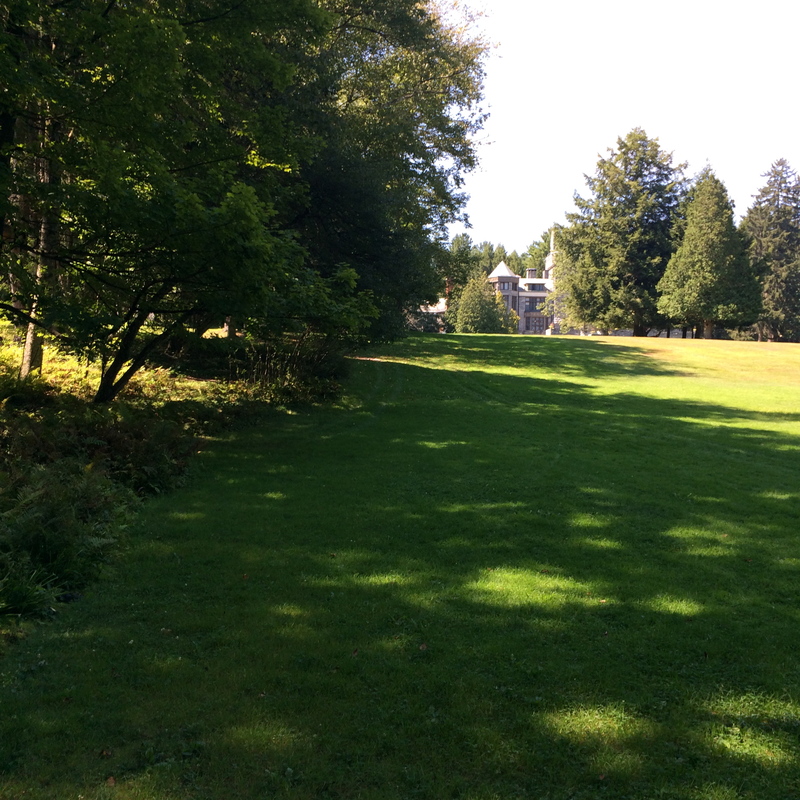 As my wife and I explored the beautiful green of the magnificent state of New York, an unplanned stop to a remarkable site named Yaddo unstuck another one for me so I had to write about it for you to enjoy. 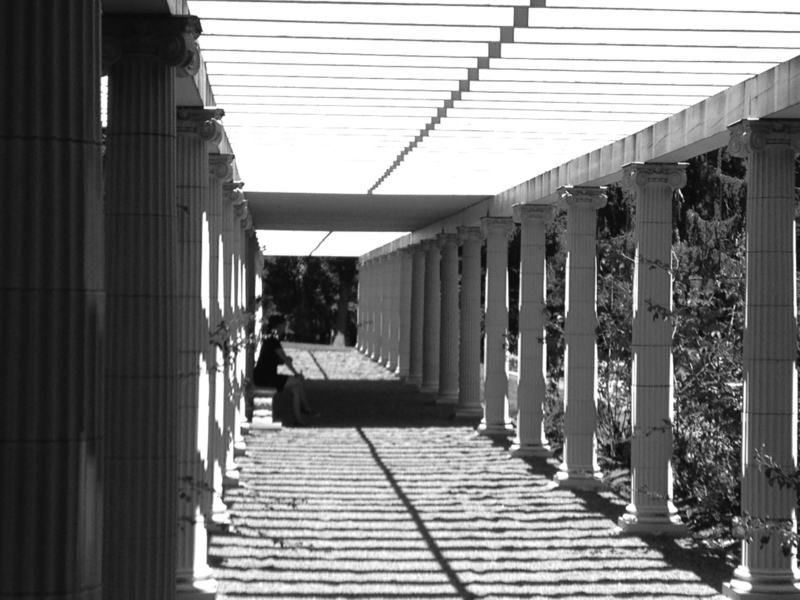 ‘Yaddo’ is a neologism created by the original owner, the financier Spencer Trask and his wife, the writer Katrina Trask’s children and is meant to rhyme with the word, ‘shadow’. Yaddo is buried deep in the woods surrounded by water and gardens. 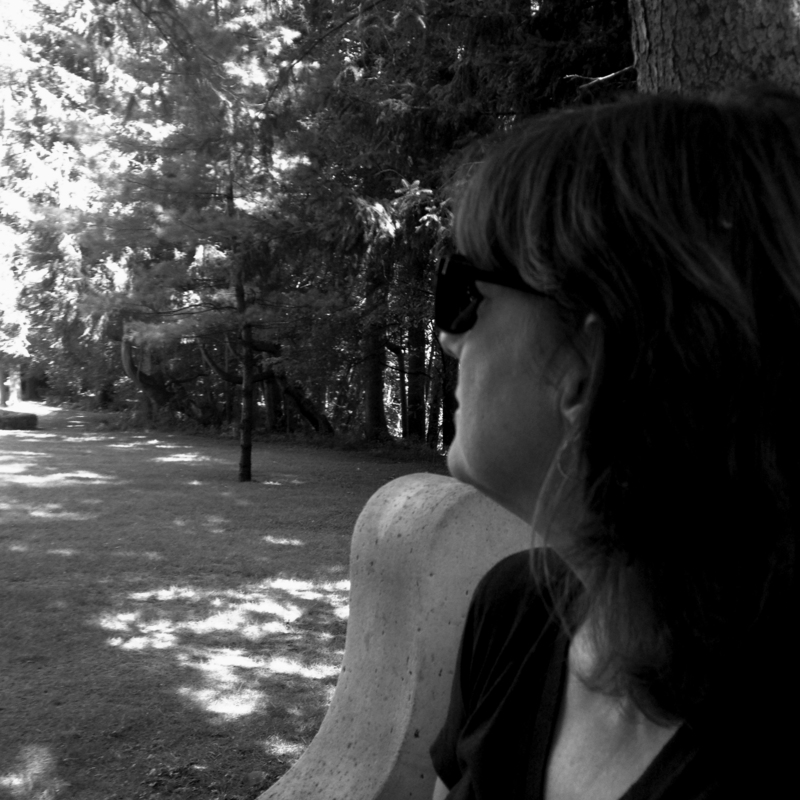 Yaddo is an artists’ sanctuary of a home nestled on a 400 acre estate in the forests of Saratoga Springs. The purpose of this fabulous environment is to facilitate and magnify each artist’s inner creativity by barring outside intrusions and interruptions. It was the serenity of these waters that brought back to me a memory of a time in another state nearby that was just as serene and beautiful to me. 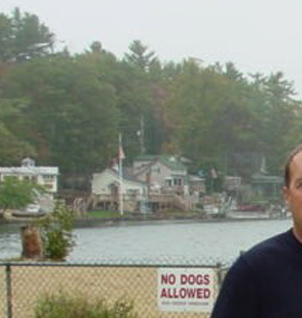 This place in New Hampshire is where I was afforded a life’s lesson as a gift. A gift packaged neatly along the side of a memory of trust given to me solely by my Dad as I glided into the waters of my first night of independence as a decade-old child. A glimpse of a night where a decision, brought upon me only by the fear of a myth hidden within another story told to me weeks before by a friend. The decision that took me to safety that night as I bonded with a small yet significant literary keel steering me to understanding how important trust can be. Trust, not hearing just the words, but how the feeling that you are truly trusted is much more noteworthy. This one quiet night of a boy’s adventure taught me the importance of trust and unknowingly cleared one of many pathways through the uncut woodlands of my manhood to come. I squinted as my young eyes focused on the moon’s reflection ahead of me on the surface of the still-watered canvas of Cobbetts Pond. I then looked up to admire the beauty in the sky. The darkened mask of my fishing pole and lure bounced in front of it and then out of the bright moon’s face with each row of the boat. My bare feet braced against the front seat’s bulkhead and then eased as my small arms tugged again at the wooden oars as Jimmy had taught me. As the small boat rounded the last of the protruding fingers of land that embanked this miraculous hollowing of land filled with deep night-blackened water. Each time I moved forward to make ready for the next pull on the oars started with a sound of sliding sand from the bottom of my feet against the inside floor of the aluminum boat. Pulling as hard as I could against the water, the oars would clunk in their collars as the motion ended with the slapping of the water against the thin metal hull. Then only the rushing of wind over my ears as the small boat skimmed over the shimmer. I moved forward again for another pull. 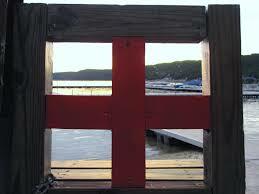 I turned and in the darkness my destination, a tall red and white wooden lifeguard’s chair was in sight but only as even a darker silhouette against the blackened outlines of the trees standing behind it. The decision was easy. I had turned the boat away from the sunken tree and its haunted waters and settled for the safety of the swimming beach bordered by rope-bounded buoys and ankle-high water depths. I knew there had to be fish. Even today, I can feel the wood of the oar’s handles move in my palms on the night of my first meaningful freedom given to me by my Dad. He trusted me. The house on Cobbetts was Dad’s favorite and each summer I spent there was just another chapter in many more pages to come in my life’s memory of New Hampshire and Massachusetts’ Rockingham Park. The house was halfway sticking out and above the water’s edge held in place by several large wooden pier poles. The rest of the 8,000 square-foot home sat securely on the sloping edge of the large pond. The stairs underneath the center of the exposed floor led down to the boat ramp. The home was painted dark green. An American flag stood proudly near the water’s edge. The steep wood-shingled roofline protected its many rooms. On the second floor where my bedroom was, was smaller than the first floor and was encircled by an outside porch with planked railing for protection of tumbling into the water below. From that porch on one night is where I caught my first largemouth bass using my brand new Garcia fishing rod. The rod was equipped with a Mitchell 300 open face I had bought with my own money in Phoenix at the Yates Sporting Goods store on Camelback west of 27th Avenue. I kept the reel in the original box and carried the rod in a long dark-blue felt case. Dad had told me before that he didn’t think there were too many fish in the pond. Something about never seeing anyone catch one. I didn’t tell Dad about the fish on the porch as it was very small and I wanted to prove him wrong and bring home a giant. This year was different from the others as I was hoping Dad would finally relinquished his parental hold on the aluminum fishing boat and my leap into maturity. I had never seen the boat on the water. The small fishing boat laid upside down on the side of the house and the pristine oars were underneath the ceiling of the landing on two wooden pegs. I knew the boat and its oar brothers needed me to help them learn how to walk their first steps. Dad continually answered with a stern, “No”, when I asked him if I could use it. I just turned ten and now the only thing between me and manhood was using the boat to catch as many lunkers as I could. My Mitchell reel was drooling in anticipation. The old man who lived in the house down the rocky edged beach went by the name of Jimmy. Jim Silli was his full name and he would make fun of his last name. There was never a time he didn’t make mention how silly his last name sounded. Dad would have a couple of jockeys over for dinner and invite Jim for cocktails afterward. “David, this is our neighbor, Jim Silli as silly as that sounds,” he’d say. The Jocks, Jimmy and Dad would laugh. Jimmy was older than Dad by many years and had lived on Cobbetts for most of his life. He knew every crook and cranny of the land and especially the water’s underside. He would have his Grandkids over and we’d sit in his backyard and he’d tell scary stories of ghost soldiers from the cemeteries that were scattered around the woods of the pond. Our home had a Minuteman cemetery in our back property. Our eyes would widen as Jimmy told his tales in his hoarse but natural tone. Jimmy slowly turned his attention to me then stared out in the darkness toward the water, “Yes,” he paused and nodded. “There are many stories of the pond and the deep dark water. There is one in particular that comes to mind. It’s about a tree. The largest tree in the country stood right there. The top of it touched the clouds.” Jimmy’s aged finger shook as he pointed toward the rocky outcrop sticking out a hundred feet beyond the edge of the pond. His finger began to shake even more. We were sure he was as scared as we were not knowing about old people and tremors. “Nothing grows there anymore since the tree was killed.” We all stared into the darkness at the rocks that formed the small natural breakwater. Jimmy raised his voice, “The tree and the water around it is haunted!” Everyone snapped their heads back to him. “The tree was as evil as a Salem witch. During the time of the tree, many men hung by their necks from the branches of death. Some say the tree called to them to hang themselves to rid the misery from their blood. Others thought Satan lived inside the tree.” I looked back at where he said the tree was although there was nothing to look at. “Hundreds!” Hundreds of suffering men died there until every limb was cut off the towering evil. Finally there was no where for the men to be hanged and no where else to bury the rotting bodies so the killings stopped. That is until one night just like tonight. One of the grandkids was holding his crotch as if he was about to pee his shorts. “What was it Grandpa?” he whispered. “But Jimmy, there was no more branches on the tree,” I interrupted. “Hold on boys, I haven’t finished. You see, everyone thought the tree was dead and the killings had stopped but they were wrong. The killings keep on happening occasionally as every once in a while someone around these parts finds a hat or a shoe floating above where the tree lies on the muddy bottom or on the bank nearby. Just yesterday I found a t-shirt right over there. Probably the only thing left of a man. Probably an evil man. Several have caught giant bass while fishing out on the point. Huge fish that could not normally be that big for such a small pond. Fish big enough to bite off a man’s hand. “What kind of food?” I asked. I nodded but I wasn’t sure at all if come tomorrow night I would still want to go on the haunted waters. All I could think about is how Dad just had to let me have the boat but first I needed to catch one of the big ones living near the tree and show him how wrong he was. That was as long as Jimmy was in his boat with me when I did it. Jimmy had set it up with Dad to let me go out with him. I had been in his boat before a year earlier but only caught a palm-sized sunfish as we never really left the dock at his house. We just sat there in the late afternoon and watched as the pint-sized piranhas attacked anything in the water we presented. 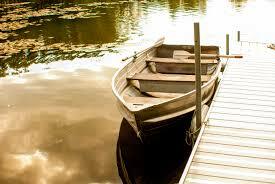 The oars creaked as Jimmy tugged the boat further into the lake. He turned the boat slowly toward the exposed bedrock where the infamous tree once stood. I was grinding my teeth in apprehension. The sunlight diminished as Jimmy lit his Coleman lantern setting it down in the belly. The hissing of the lamp hid my deep breaths and any sounds of nearly dead men being hanged. The silver spinners on my lure clinked as they shook from the fearful hold I had on my rod. I latched back the bail of the open-face reel and flung the lure out as far as I could. I heard the splash. Jimmy just watched. I only could concentrate on one thing at a time so my answers were either a shrug or a nod. I casted for what I thought was hours but was probably only a half of one with not even a nudge of a bite. Instantly the images of half-eaten dead men strapped to the tree by their necks with their guts hanging out where the fish had eaten through their bellies flashed in my mind. Days later as the sunset neared I clambered up the stairs to retrieve my rod and reel and ready myself for a couple of hours of night casting from the shoreline adjacent to our house. Frogs were everywhere and the occasional splashing sound out on the water signified one frog’s last moments as a fish would surface for an evening meal. Tonight was the night to use my favorite lure, the lime-green-black-spotted-yellow-bellied-scoop-billed-floating Jitterbug. This lure plopped and jittered as it was reeled in and would attract even the occasional bird of prey. Largemouths loved chasing it as its portrayal of being a frog desperately trying to make it ashore made for one irresistible tidbit to any hungry mammoth lurking in the depths below. So many times would I hear the splash out in the water where my bug had been cast and on a couple of times I even felt a tug but to no avail. “One of these days,” I whispered as I opened the closet door to get the fishing rod. I snapped the door closed and rushed to the open bedroom door, “Mom!” I yelled down the stairs. “Down here in the kitchen,” she answered. I skipped every other stair on the top stair case as I rushed to the door leading down the stairs to the dock under the home. Dad was standing on the dock looking down at the water. The boat was rocking slightly and my rod was at the ready leaning on the front seat. My small tackle box was on the floor and a small sandwich paper bag was next to it. A shiny metal flashlight with a red twist off lens cover was on the middle seat. The outside oar was already locked in place in its collar. The other was still resting on the pegs under the landing. Dad held the side of the small craft steady as I leaned over and gently put my foot in and on the floor. I started to sit down on the front seat as I would have when I fished with Jimmy. “No, sit here and face the back of the boat,” he said. Dad tapped the edge of the rail where the middle seat was positioned. I stepped over the middle seat and sat down. My hand naturally grabbed for the oar that I had never touched before. The handle was smooth yet I could feel the grain of the pristine wood. I pushed down to feel the weight in the collar then smiled. I stared at my Dad with all my attention. “I want you to listen to me. You do not get out of this boat and you cannot go across the lake. You have to stay on this side tonight. I checked the flashlight and only use it if you need it. Stay close enough to shore so If for some reason you fall out of the boat you can easily swim to shore. Okay? I nodded and nodded and nodded just to make sure he knew I heard him. “What is?” I thought he was talking about the dock. I looked down at the floor and the shiny seat in the rear of the boat as my hands felt the handles of the oars with disbelief. “Let me give you a shove to get started.” Dad pushed the tiny boat and moved it away from the dock. I positioned the oars in the water and tugged hard. The oars pulled easily through as the boat lunged. The house began to grow smaller as I tugged again. I let go of one oar and waved. “Bring me back one of those big ones,” his voiced raised. He turned away and disappeared up the stairs. My ears hurt from smiling. The sun had finally gone down below the treetops as I made my way further out in the lake. I looked to my right and could see the rocky edges of the protruding finger of land where the Hanging Tree lie submerged. The big one was waiting for me. I stopped rowing and stared at the place where I imagined the men who had been killed by the tree lay on the bottom. I pulled hard on the right oar and lifted the left oar out of the water. The boat turned away from the rock’s outlines. In a moment of fear, I had decided not to fish the haunted waters but I would travel down the shoreline to the swimming beach were I would be safe as long as none of the ghosts felt like taking a swim. Why would they anyway, they’re already wet I thought. I could see the tall lifeguard chair in the distance. A few more minutes and I’d be nearing the beach. The area of the swimming beach had been filled in with sand so that it was more of a wading area inside the ropes. The area was fairly large and anything outside the roped buoys was over my head for sure. One final lunge at the oars and the boat came to a stop just outside the roped area and nudged up onto the shoreline a few inches. I could hear Dad saying again for me not to get out of the safety of the boat but there was no way I could fish from where I was. I was barefoot and in cut-offs so even if I did walk out into the water to the edge where the deep part of the swimming area was, Dad wouldn’t know I did because I would be dried off by then. I worked my way to the beach protecting the wading area and could see the black silhouette of the buoys floating still on the water about a hundred feet out. I put my foot in and started toward them. The moon was rising on the opposite side of the lake and even though it wasn’t full, it provided more light than needed to see where I was going without the flashlight. I had only gone a few feet when temptation overtook me and I unhooked the Jitterbug from the second eyelet of the rod. I snapped back the bail and held onto the line with my index finger. With every thing I had I flung the rod forward and released the frog-like lure at the moon. I heard it splash but didn’t see where it was exactly. Jimmy had told me before to let the lure sit so there is no ripples when you start reeling it in, so I waited. I could hear the mating music of the cicadas far back in the trees. I reeled in all the way with no luck. I casted for another half hour. I had found out that if I moved across the wading area and kept the moon in front of me, I could see the ripples of the lure as the steady plopping sound grew louder as it neared the rod. The surface of the water behind the lure made a small V-shaped wake behind it. I move slightly to get it better in view. Then I saw it. Behind the Jitterbug about ten feet was a fin sticking out of the water moving along with the lure forming another wake. I stopped reeling. The fin and tail stopped. I moved the tip of the rod up and reeled in a few feet. The fish remained still. I cranked the handle faster hoping the monster thought dinner was getting away and it worked. The mighty largemouth hit the lure with the ferocity of a panther making a kill on a fleeing antelope. The rod bent as the line straightened. I pulled hard as Jimmy had taught me knowing I needed to set the hook. The broiling water was foaming from the fight as I reeled hard against the weight of the fish. ‘This is one of the tree’s fish,’ I thought. I pulled hard again as I moved back to the shoreline. Ten feet more and I decided to drag the beast up onto the sand. The fish was huge and beyond all of my tree expectations. The Jitterbug was hooked into the gaping mouth with every hook. I pulled the fish further in and set my rod down. I ran to the boat to get my pliers and the flashlight. I pulled out my rope stringer and ran back to the catch. Eventually I removed the hooks and secured the enormous fish on the stringer making sure to double half-hitch the rope to the anchor of the buoy rope. The fish went crazy again as it tried to pull away but I had made sure of the knot. I turned back toward where I had caught it and jerked my arms straight into the air in celebration. I finally had caught one of the big ones. I grabbed up my rod and went back into the water. Six or seven casts later and another fin was spotted. This time it was coming from the side and gained speed as it approached the plopping lure. It attacked the fake frog with a vengeance of a Great White after a seal. I set hard again and backed up toward the beach. My landing technique worked again and I now had two giants firmly on the rope. The need to show Dad and Jimmy was overwhelming and I decided to hurry back to my family’s home. I placed the flopping fish on the floor in front of the first seat and shoved the boat away as I jumped in. Every surge of the oars brought me twenty feet closer to being able to show Dad that I was right about the fish in the pond. The dock lights came into view and with a few more strokes I rammed the edge of the dock. As I tied off the boat, I looked down at my trophies. They were still fighting but I knew in just a short time they would become a dinner made for a champion. I climbed up the stairs to the entry door with the rope ends held tightly in each hand. The fish’s tails touched the ground. I struggled to get the door knob to turn but once I did I announced my arrival with only one word. “Dad!” I screamed with excitement. “In here, Billy,” he answered back to me. I rounded the corner of the hallway and walked in to see David, Jimmy and Dad sitting at the wooden dining table. I held up the fish as high as I could and said not a word. I had won this moment fair and square. I couldn’t talk so I nodded as hard as I could. I hadn’t stopped the proud nodding. “Well I’ll be. Those there might be a record for this pond. Congratulations Billy,” Jimmy awarded. Dad nodded and nodded and nodded. My palms were sweating so much that drops were coming off my little fingers. Today was going to be the day when I was going to trust my son with driving. 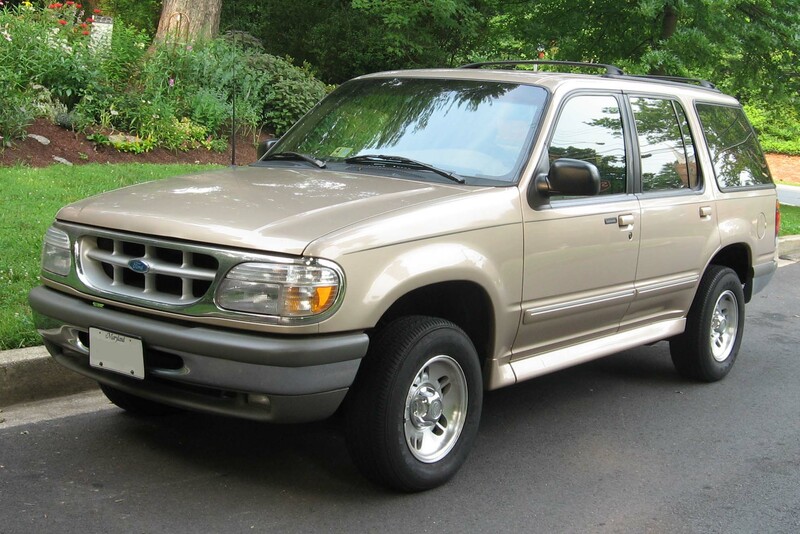 We had planned to hand down our old Ford Explorer for his first car. Months of agonizing learnings and we even had a teacher drive with him to give him lessons before we released him into the dangers of traffic. One of the hardest things I had to do is to let go of him and offer him up to the crazies and the incoherent drivers not paying attention and those who could care less he was my son. This was his first drive to school by himself. I dreaded it. I looked at my wife who was fodder smiling her fear and told her of my apprehension. I walked him out of the kitchen to the garage and opened the large door. The gold SUV was awaiting with new tires and a tune-up just for good luck. 125,000 plus miles of dent free existence and now he is going to use it. We never told him about giving it to him and made sure he thought he was borrowing it until he could buy his own. He got in and rolled down the window. I leaned on the window ledge with both hands. He looked me straight in the eye and never said a word. He just nodded. “And listen.” I paused and took in a breath for what I was about to tell him worrying he would think I too was one of the nuts on the road and wouldn’t remember I said it five minutes from now as I never told him the story. He looked at the steering wheel and smiled so big his ears hurt. He just nodded and nodded and nodded. I backed away making sure I could see in his eyes that he felt I trusted him. “This is,” I said, then stopped and put my lips together while I clenched my teeth to gather myself. “This is what?” he asked. Loved it! Your sticky memories are great little treasures. Next Next post: 5,085 Reasons and More to Remember This Sunday, Again.